Something to Muse About: THE PENGUINS OF MADAGASCAR Official Trailer Revealed! THE PENGUINS OF MADAGASCAR Official Trailer Revealed! 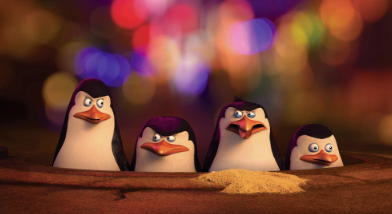 On behalf of DreamWorks Animation, we are pleased to share the FIRST trailer for their upcoming animated comedy, THE PENGUINS OF MADAGASCAR. Get ready for the Penguins' biggest mission yet, in theaters this Thanksgiving!